According to an article in Diabetes Care the number of pregnant women with pre-existing diabetes has doubled in just 6 years. This was no small study either. The study looked at 175,249 women ages 13-58 years with 209,287 deliveries of 20 weeks gestation from 1999 through 2005. Back in 1999 only 10% of children born to diabetic mothers were born to moms with pre-existing diabetes (90% were in moms who developed gestational, or during pregnancy, diabetes). By 2005, that number climbed to 21%. 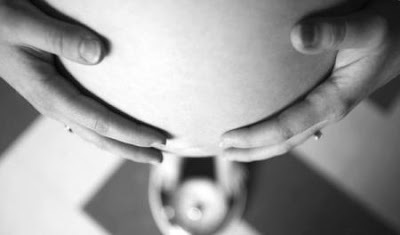 The number of diabetic teenagers giving birth rose more than 5 fold. We sure can't call it "adult-onset" any longer. Perhaps we should call it "nutritional" or "weight-related" diabetes?